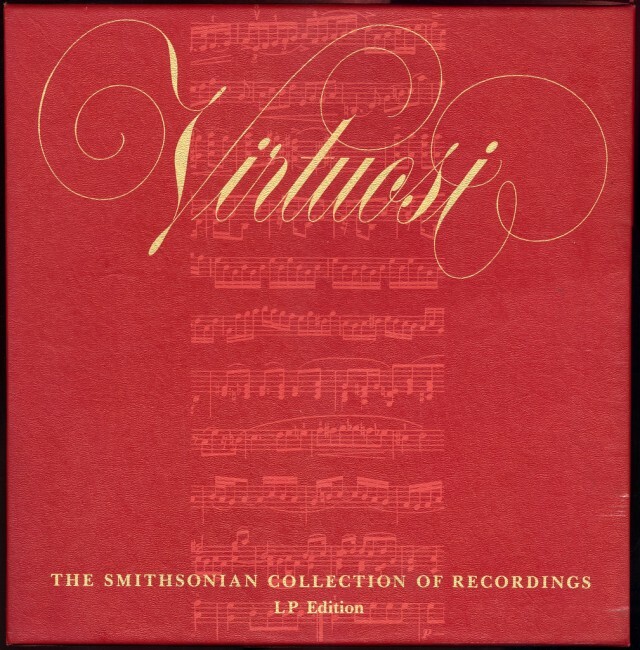 Back in 1985 the Smithsonian Institute published a 7 LP collection names “Virtuosi’, collecting great recordings from the dawn of electrical processes to the days before stereo. 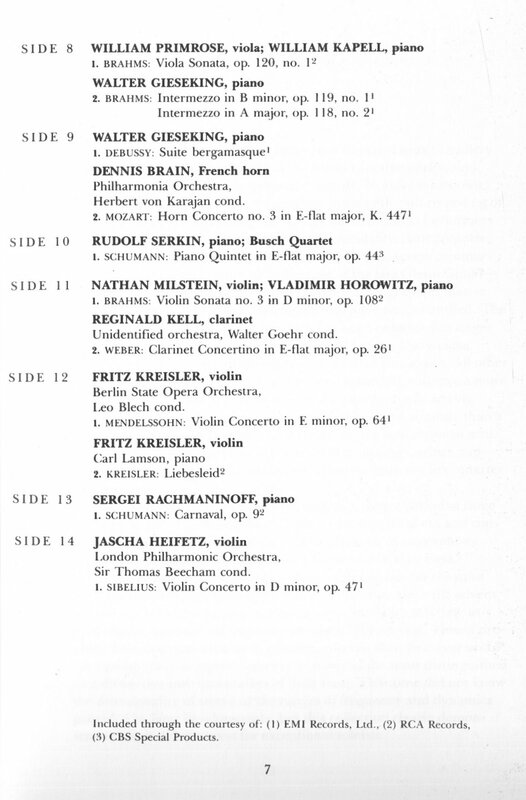 The set was compiled by Richard Freed, my mainstay for classical reviews growing up, and someone with impeccable taste in music and performances. 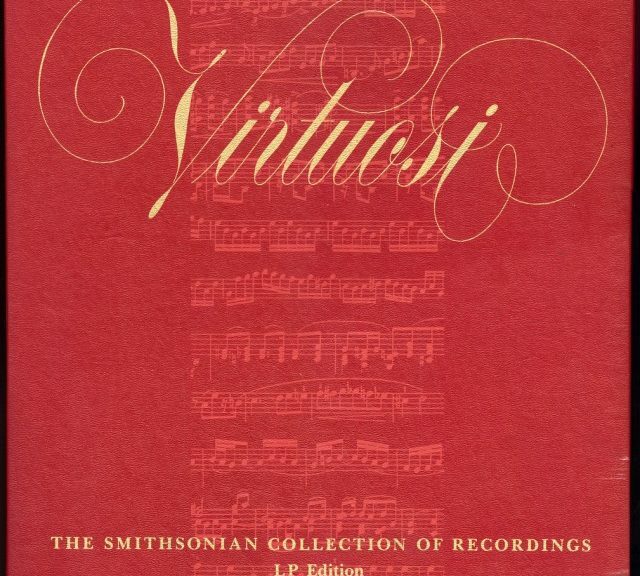 The albums feature signature performances by artists from the first half of the 20th century. Many of the selection are from before the use of tape for recording [yes, 78s] and work their way up to more modern techniques. This collection eschews any pretense of Hi Fidelity in favor of the performance themselves. Actually, all are quite listenable, and I have found only a few that have more modern remasterings that are significantly improved over what is on these records. The set is still available at eBay and Amazon used at varying prices. 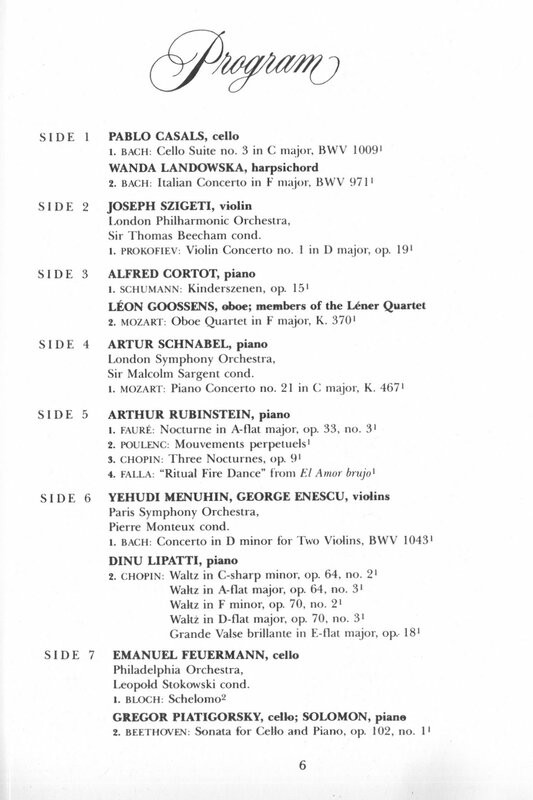 I will be featuring all of the works performed in upcoming posts and when possible also sources for the specific performances if they are available for listening. If you are a vinyl fan, this is a set well worth investing in, but hopefully the posts here will work as a substitute for those without the box set.